color is an incredible thing to behold. 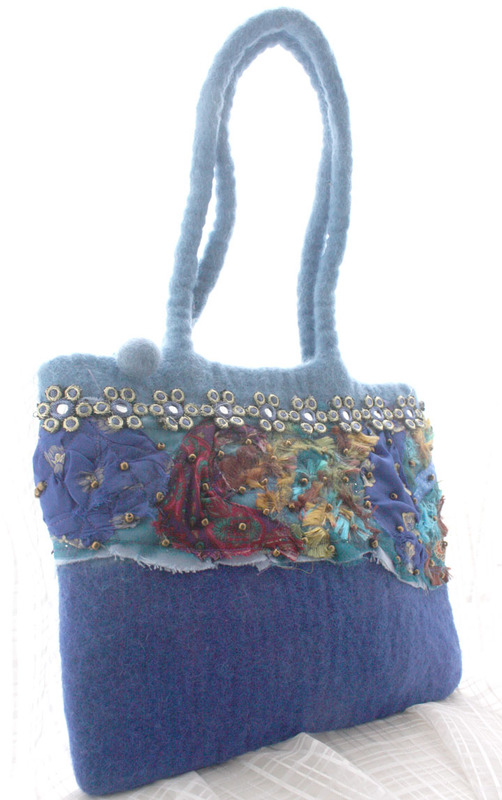 I recently got some beautiful Fair Trade felt bags from Nepal that I am working on. 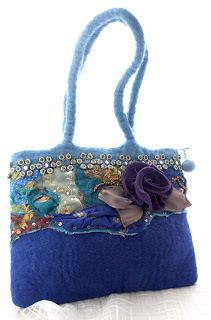 These bags were hand felted and hand dyed by women, and I feel good about supporting them in their livelihood. They usually sell them with felt embellishments attached to them, but I ordered them plain so that I could finish them up with my own personal touches. Here's one. I stitched up an assymetrical strip of a whole bunch of layered fabrics, and then sewed on trim, beads, sequins, leaves and the rose. The back is studded with more beads. A nice little purse for day and night! The colors in this one are blues and greens with metallics thrown in. 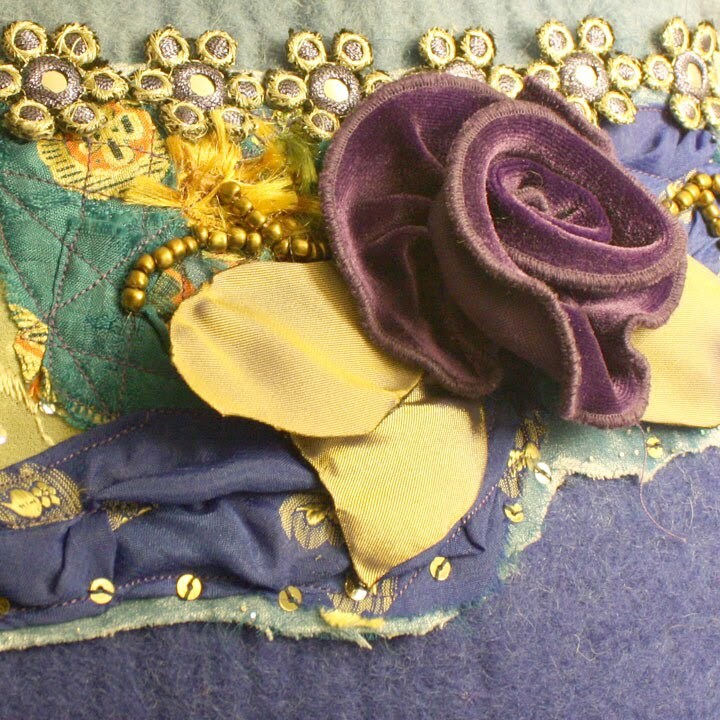 Blue with green is my all-time favorite color combo, and it really tones down the indigo of the felt. The other bags are in other shades, and I'm working on similarly exciting color layerings on them too! More pics soon! Sorry, this one is in yellow light! If I were a woman, I'd buy this purse. But seeing as I'm a manly man, with man hands, I cannot purchase this item. I'd buy it for my wife but that would be you soooooo....bus. Gorgeous! The detailing you did beautiful. My sister also buys all Fair Trade things, so I familiar with the concept. I think it's great! Keller, thank you for sharing your sister's blog. I'm amazed at her maturity and ability to express herself so well - you two make a formidable pair!